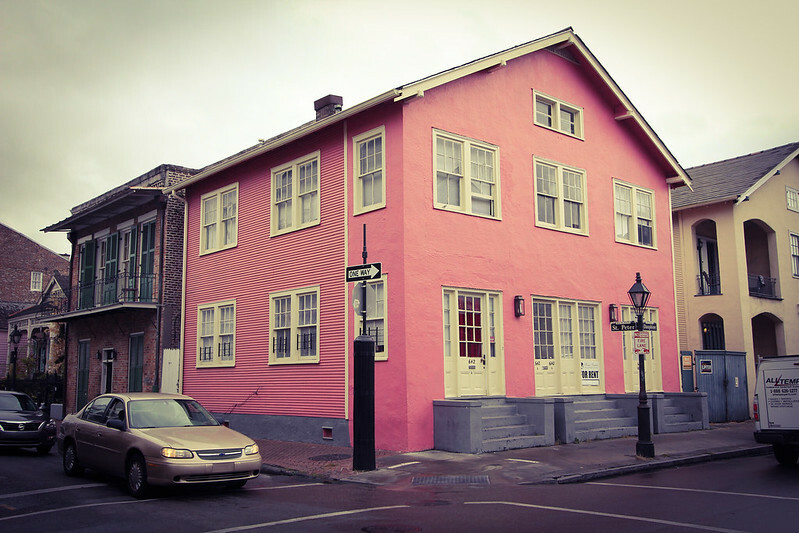 I’ve been completely charmed by the beautiful and quirky houses that are all around the French Quarter, which we’ve walked through every day that we’ve been here. So elegant – like doll’s houses. 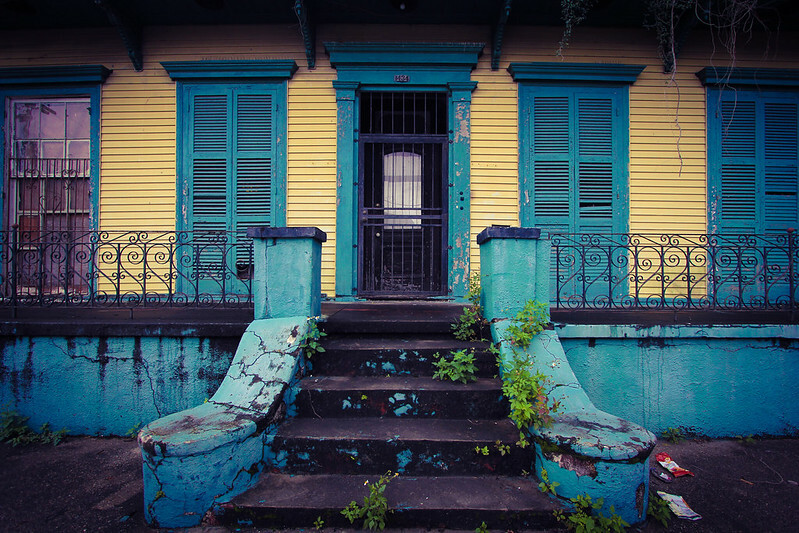 New Orleans is famous for its ‘elegant decay’. The humidity, wooden building materials and rising and falling fortunes of the residents mean that there’s always a lot of buildings that are being reclaimed by nature or falling into disrepair. This leads to photo opportunities on nearly every block as the bright colours favoured by residents start to peel and fade. Some people here go to astonishing efforts to decorate their houses seasonally. We’ve noticed some houses with a Fall theme and bowers of leaves and fruit and ribbons above the windows and doors. Some of the houses remind me of Burano in Italy. Of course, they can’t all be winners. Apricot, white and navy? I don’t think so. 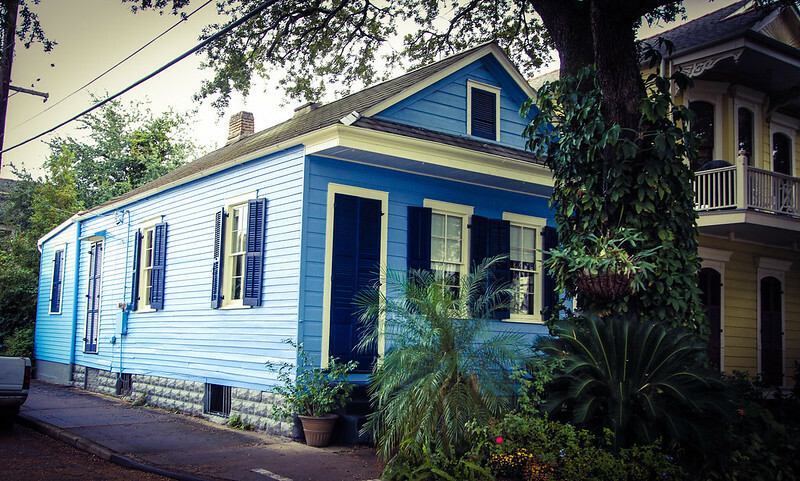 « New Orlean: Swamp Tour! Gorgeous shots Miss B! Lovely architecture. I should to to photograph some of the dilapidated old colonial mansions here. I still haven’t been brave enough to go out alone with the DSLR though and I need the wide angle. Lima would have to be prettier than most every city we saw in East Africa.. Nairobi is one ugly city! Everything is covered in dust and mostly it’s a shanty town .Without the grace of other shanty towns. 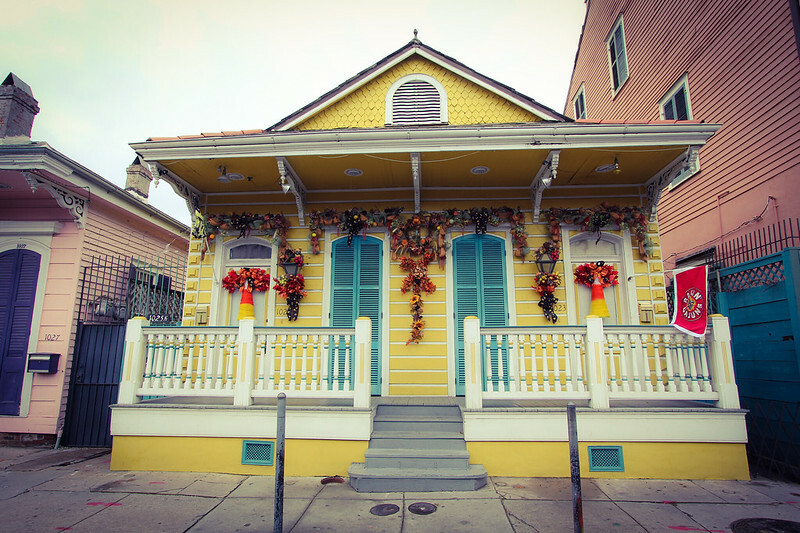 New Orleans is certainly photogenic, more so than New York, dare I say it! Find a friend and go out, I’d love to see Lima! Trust me, I’ll get there! There will be many photo missions once summer finally arrives and there is blue sky and not horrible glare from the tedious grey skies. Lima was evidently beautiful once, but since it never rains despite the humidity, now the serious pollution and desert dust is caked onto surfaces in a layer of grime that not everyone can afford to wash away (and to be frank, there are better uses of water in a desert. And no, Miraflores council, a palm-fringed beach boulevard is not a good use of water). 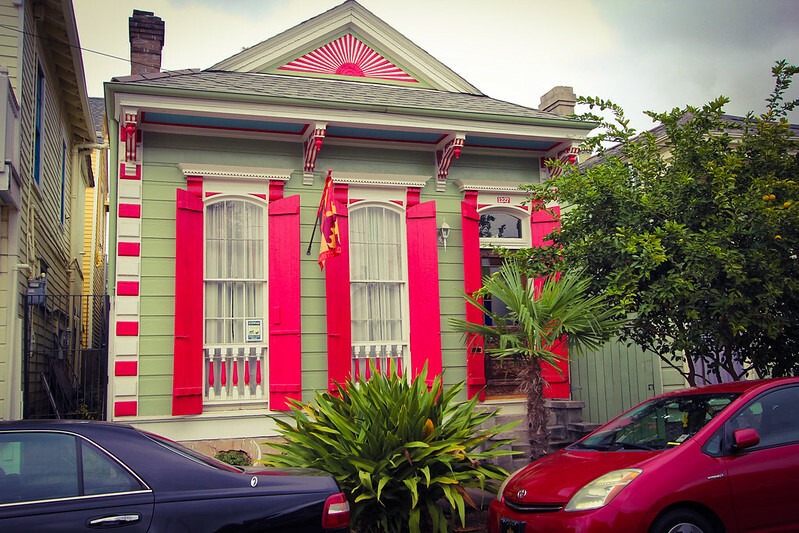 I want to live in….any of these houses! Beautiful photos. Your recent posts have made me think more and more about heading to the States one day. Seeing the colours people around the world paint their houses, it’s made me think about how boring most of ours are! I am enjoying it here- the cultural differences are fascinating and the people are very friendly and always willing to talk. I would certainly come back:). Blergh indeed! I bet apricot house is inhabited by a crazy cat lady…. 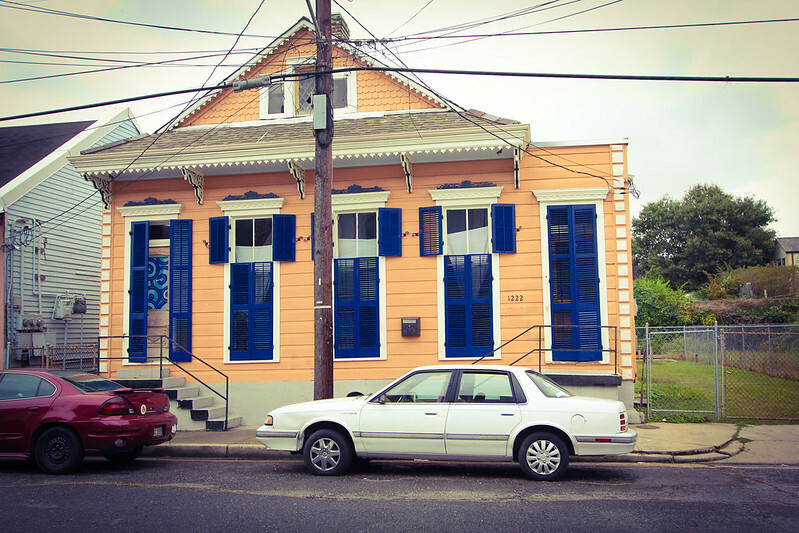 Ps did you get a chance to watch any treme? Not yet! But we’ll definitely get to it:).